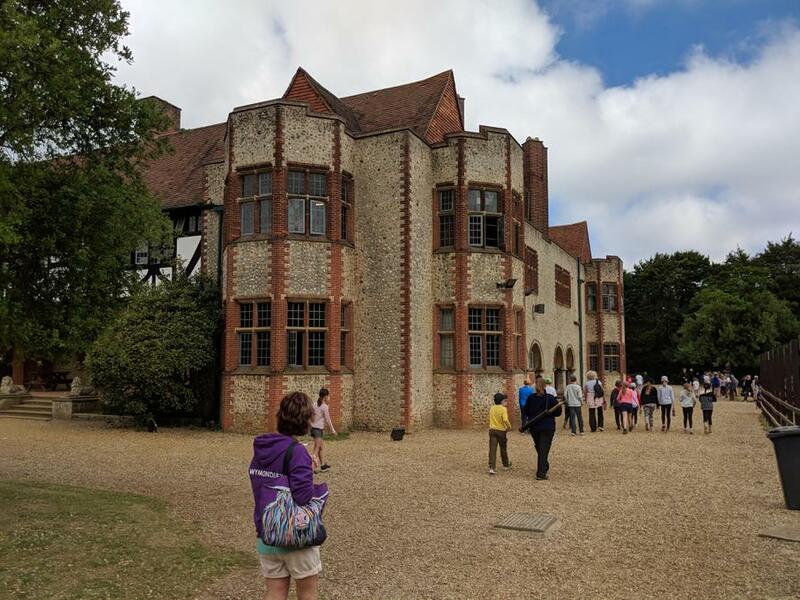 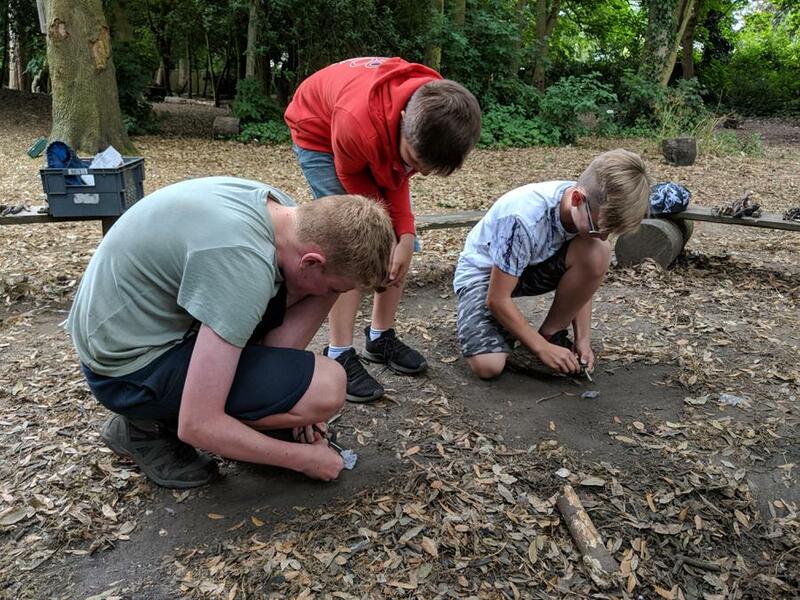 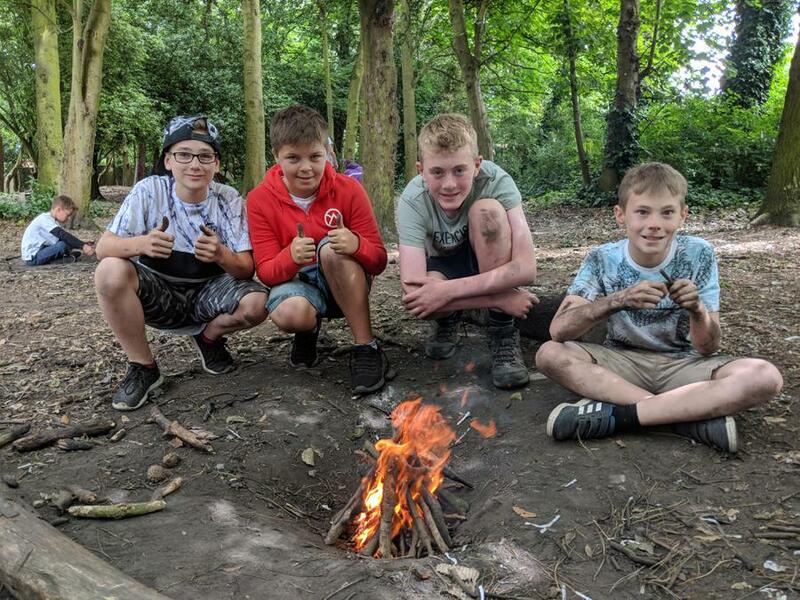 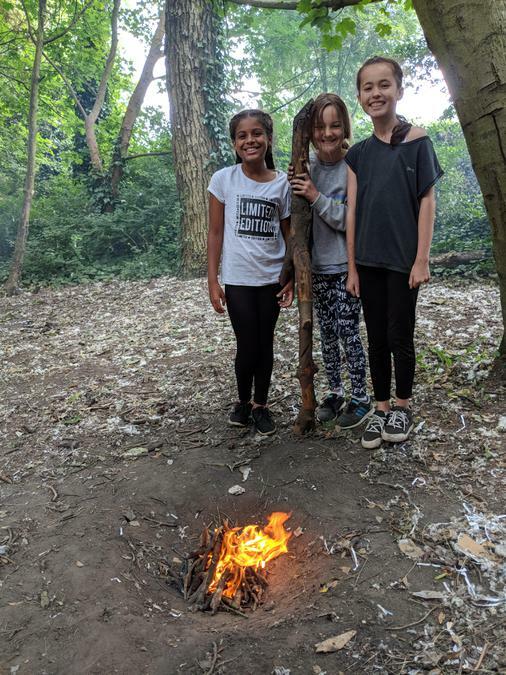 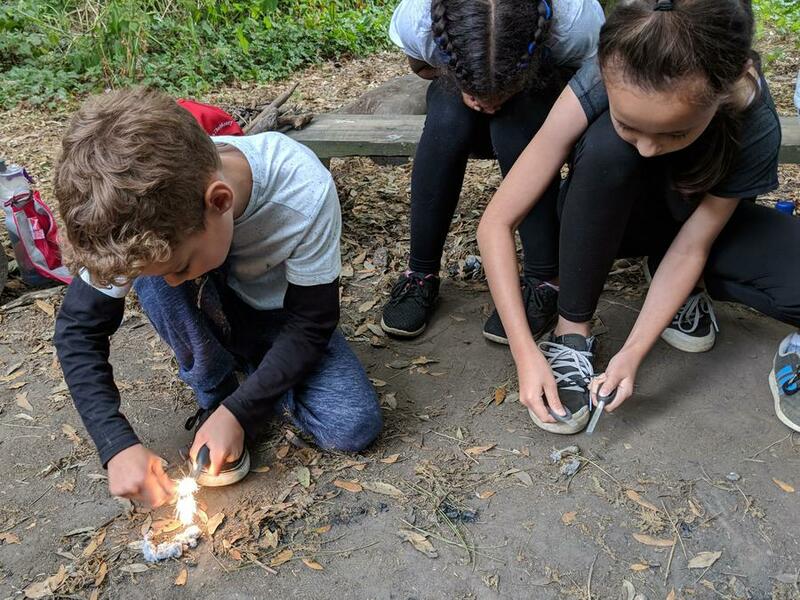 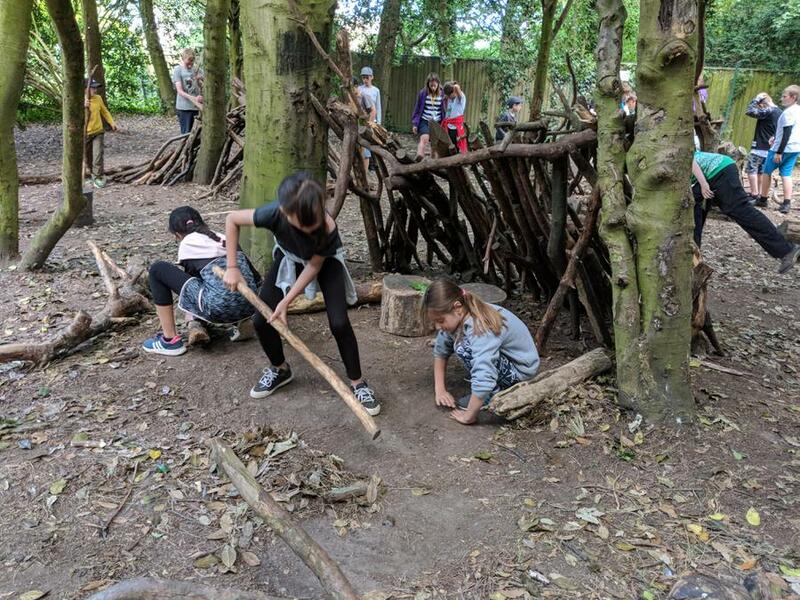 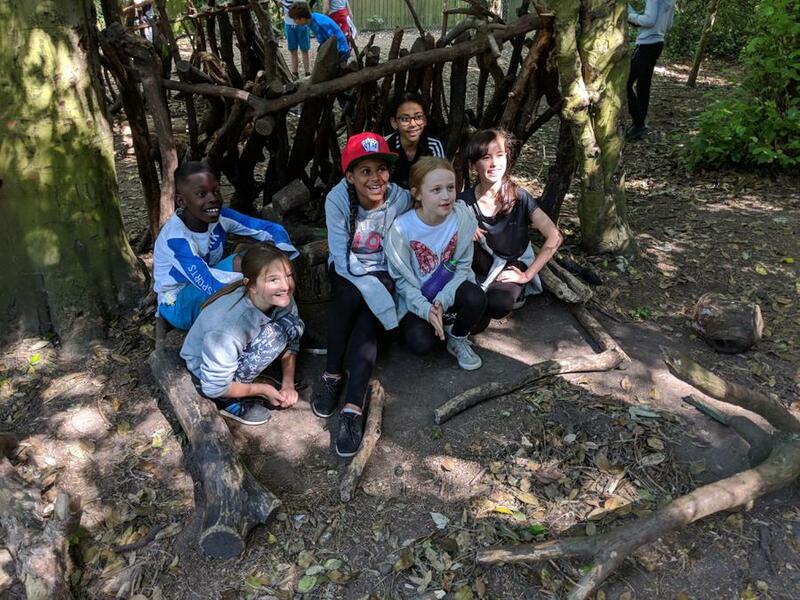 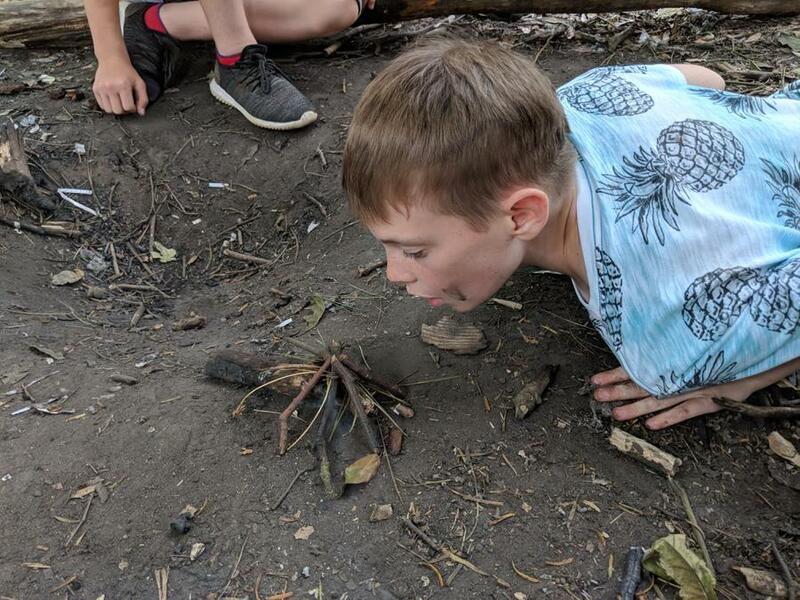 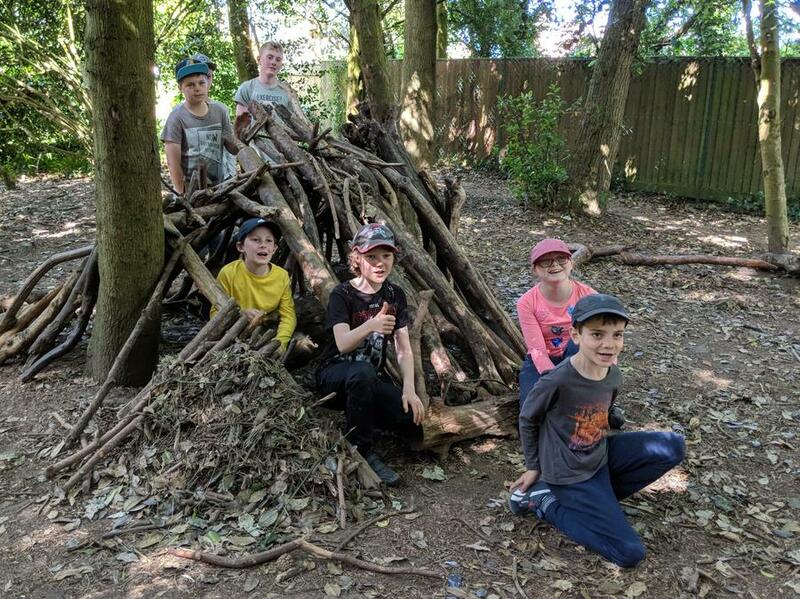 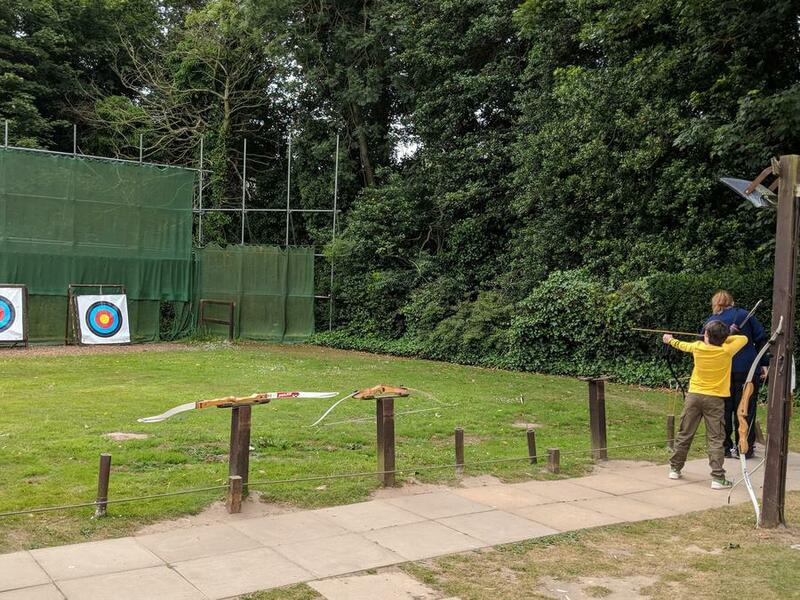 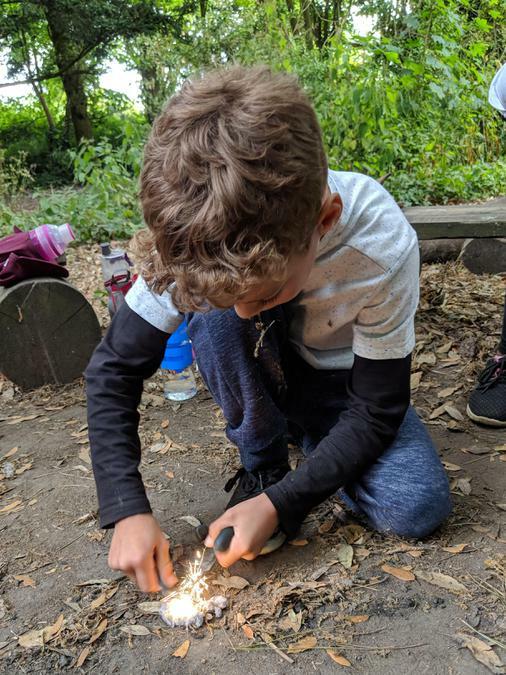 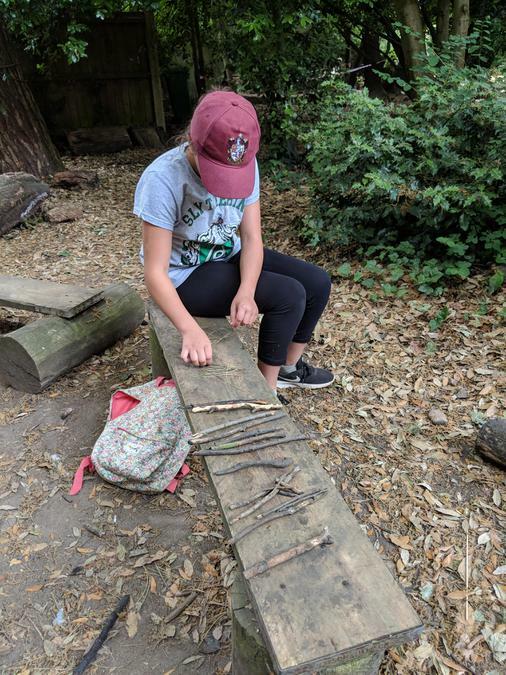 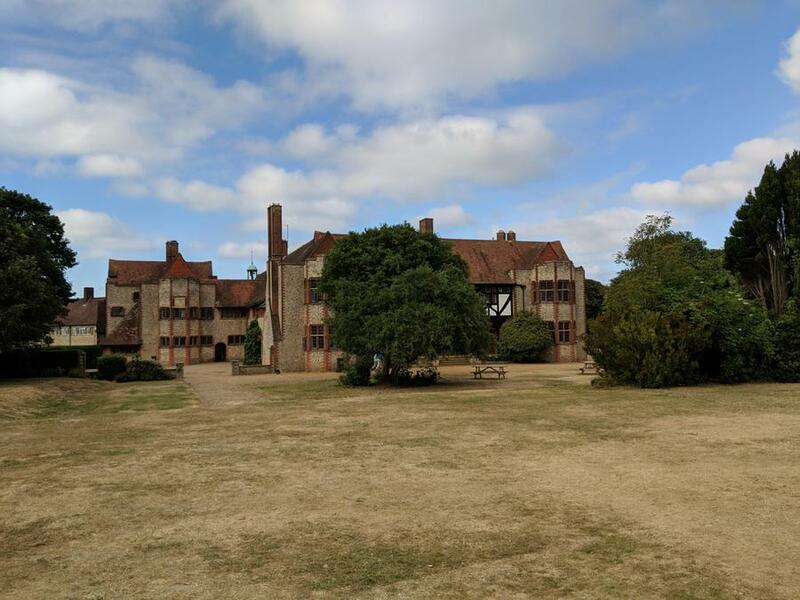 The children arrived safely at Kingswood and have been busy settling in to their new surroundings for the rest of the week and enjoying some activities. 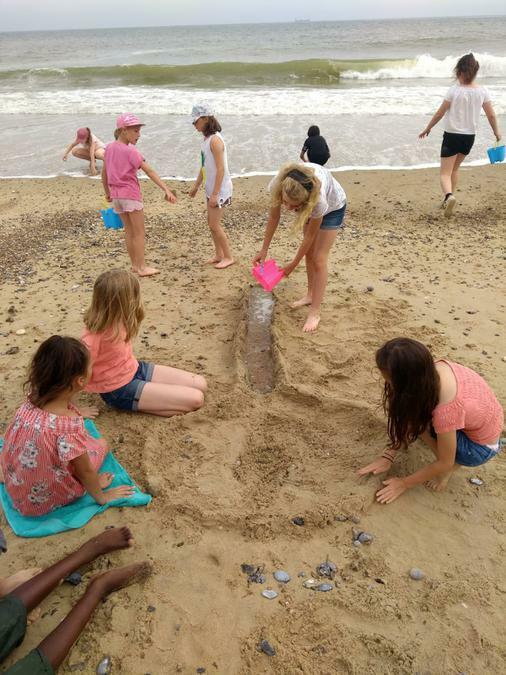 Their first day ended with a midnight stroll off site and across the beach to get a sunset view of the coast - a great way to finish off settling in to their new home for the week. 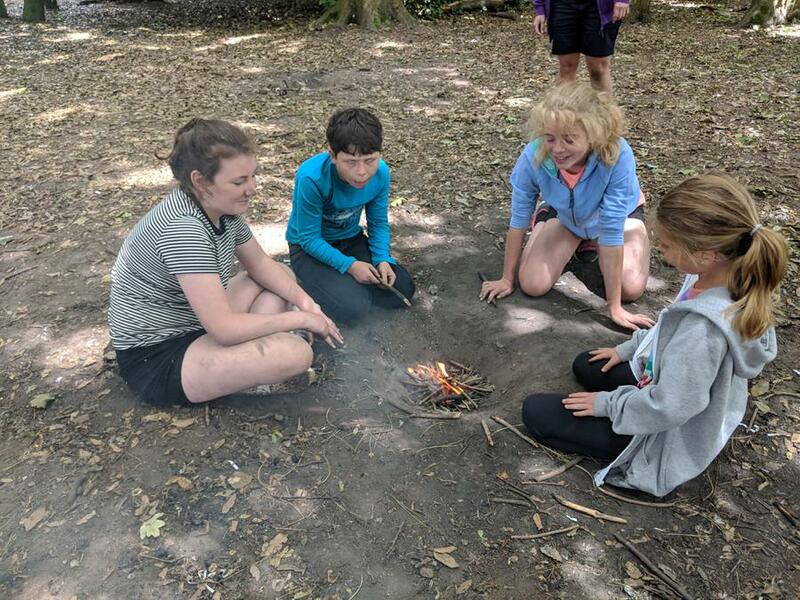 Day 2 started with a hearty breakfast with a choice of either cooked or continental at the hatch. 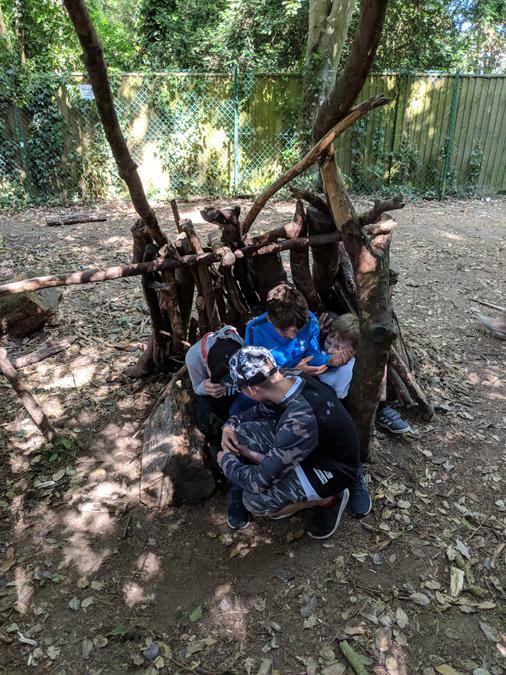 Following some time to relax and get ready for the day ahead in their bedrooms, they then headed out for their first activities of the day. 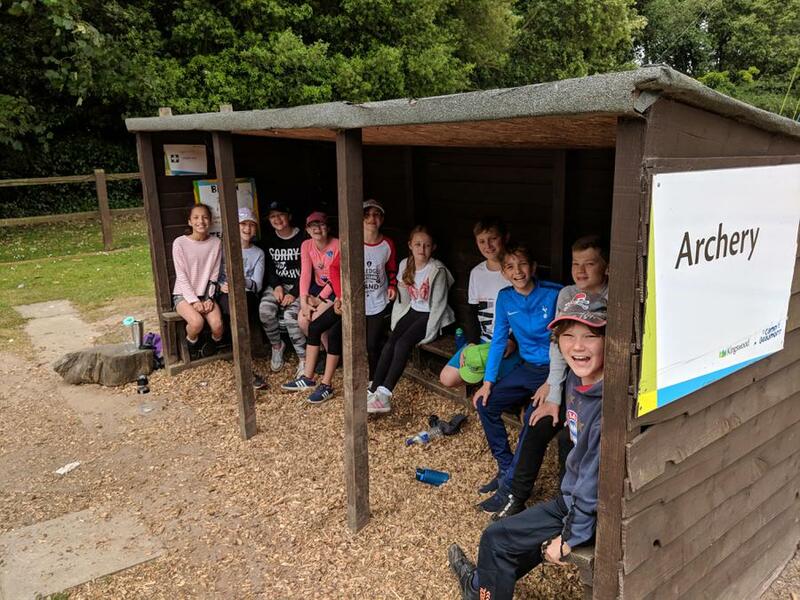 Group one started with Bouldering (a low level climbing wall) while group two took part in archery. 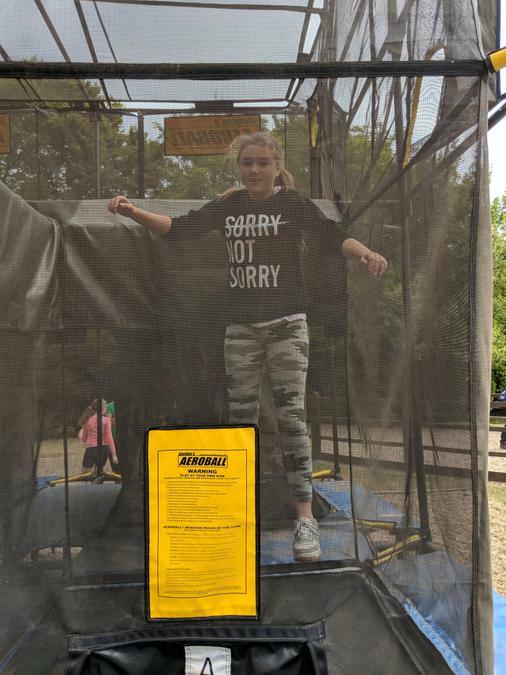 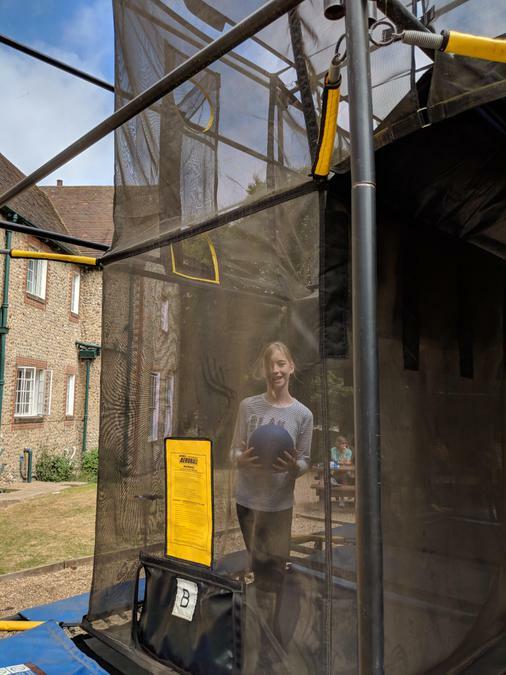 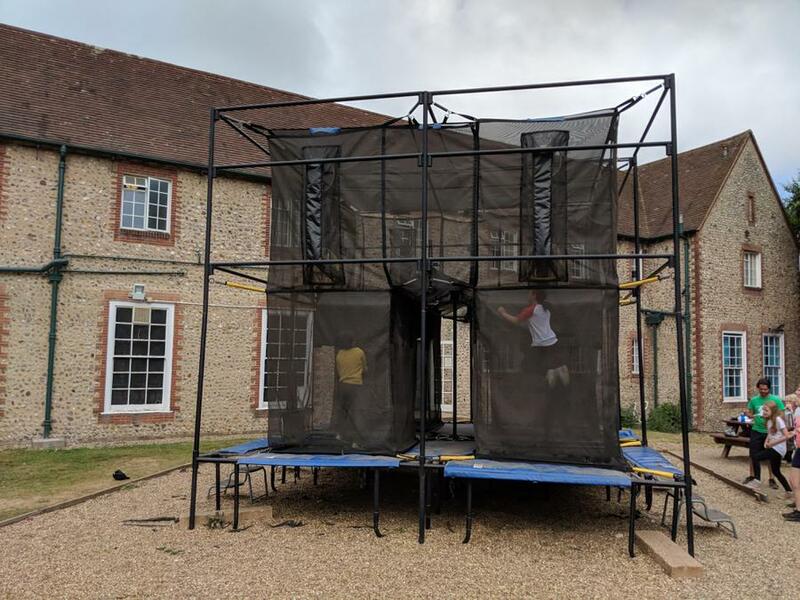 Next up was Aeroball (a basketball type of game on a trampoline!) 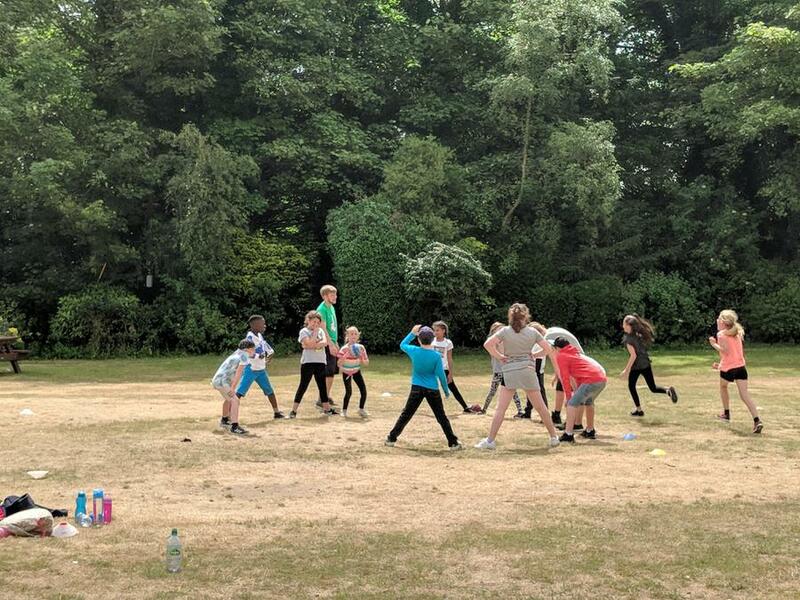 for Group 1 and Field Games for group two, which included monkey football, foot softball and many other new and imaginative games, which seemed to go down very well with all of the children! 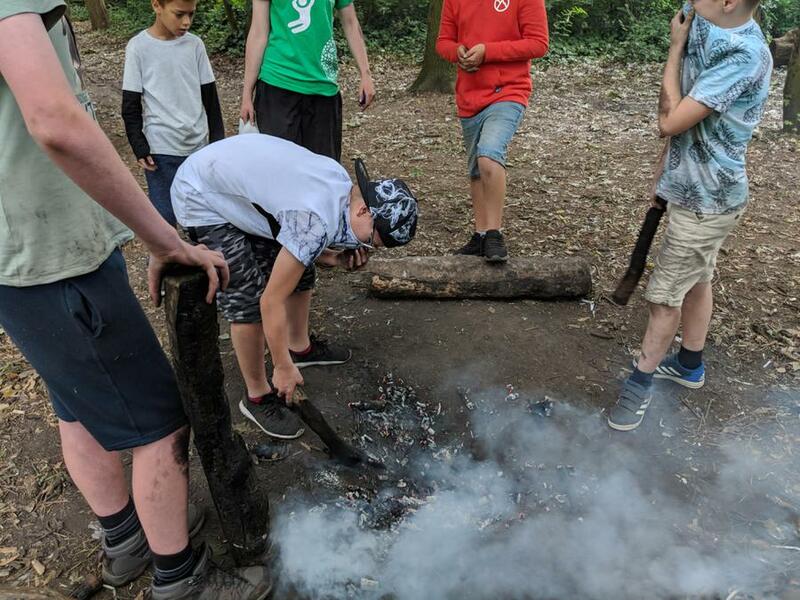 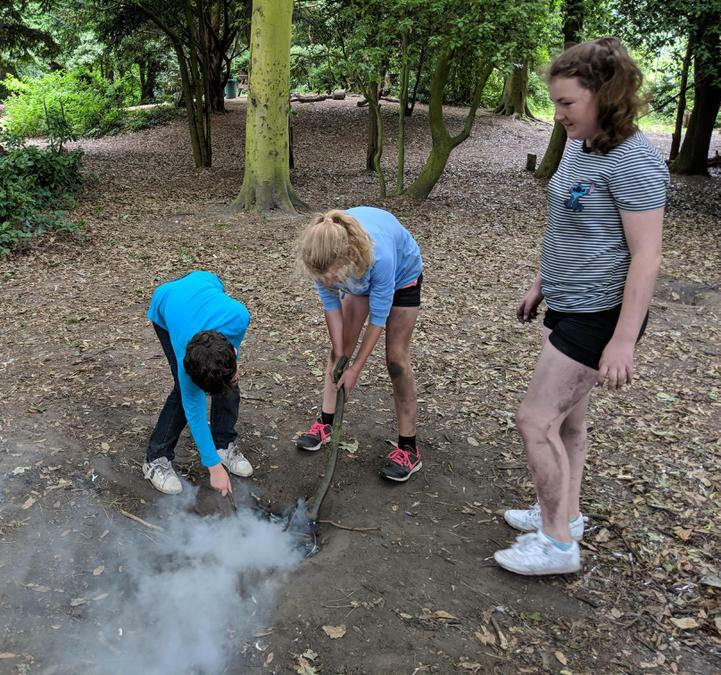 Fire starting concluded the morning, with every group managing to start their own fire from scratch! 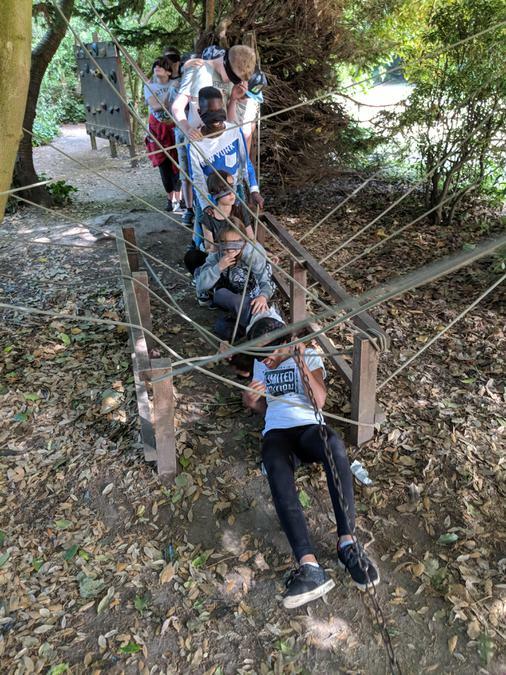 Lunch followed and was very much needed by many after a lot of morning activities! 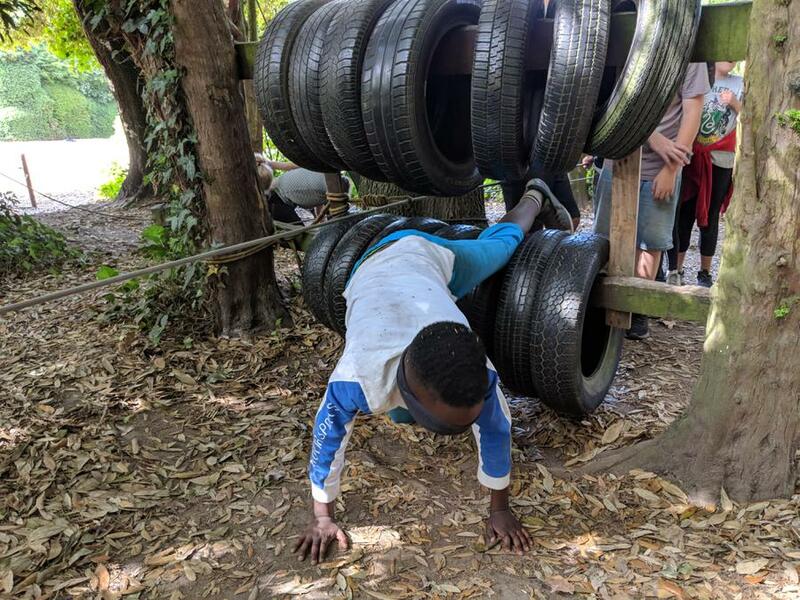 There was a spare half an hour for the children to have to themselves afterwards before they were off again for yet more activities! 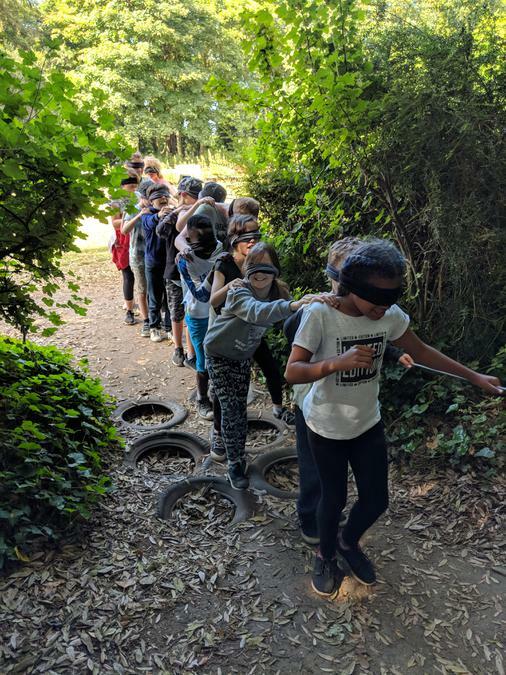 Group one headed off to take part in Nightline, which proved to be one of the most amusing activities of the day! 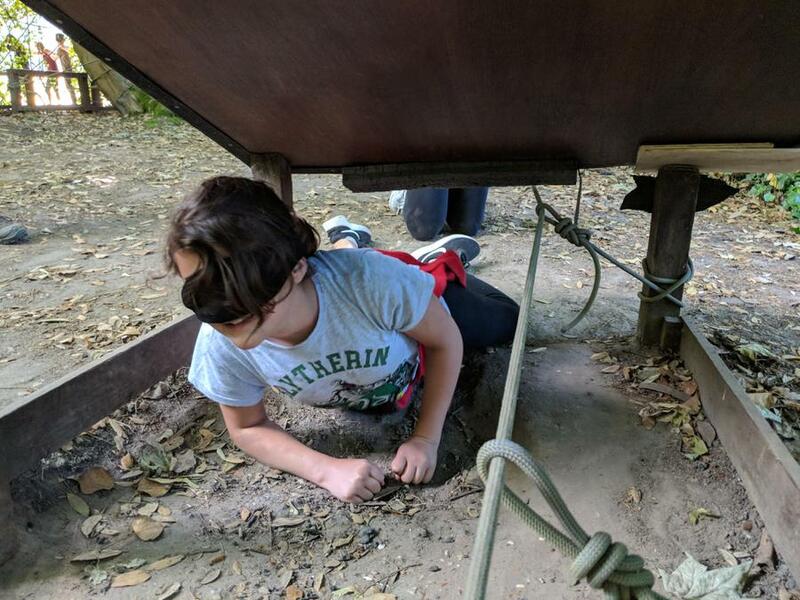 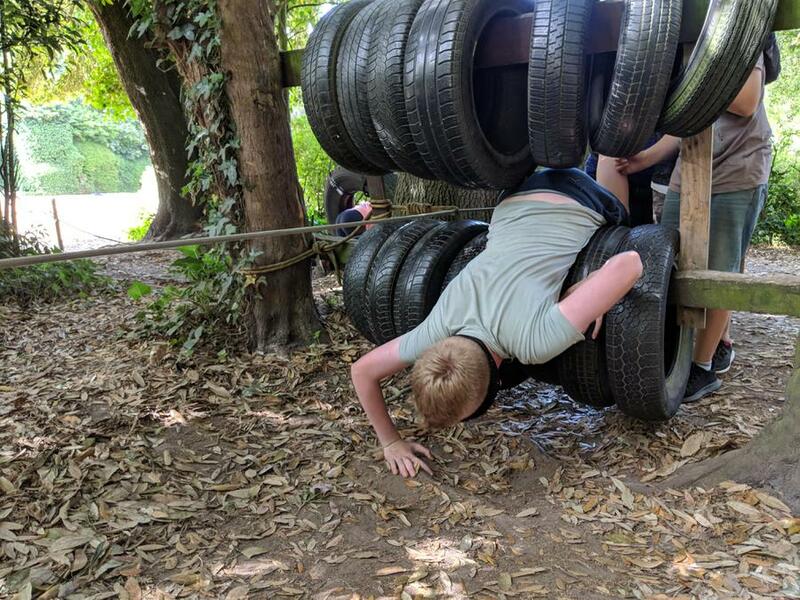 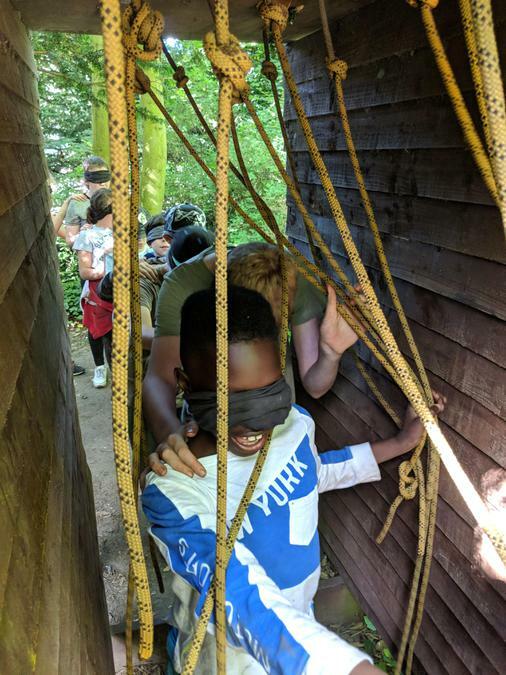 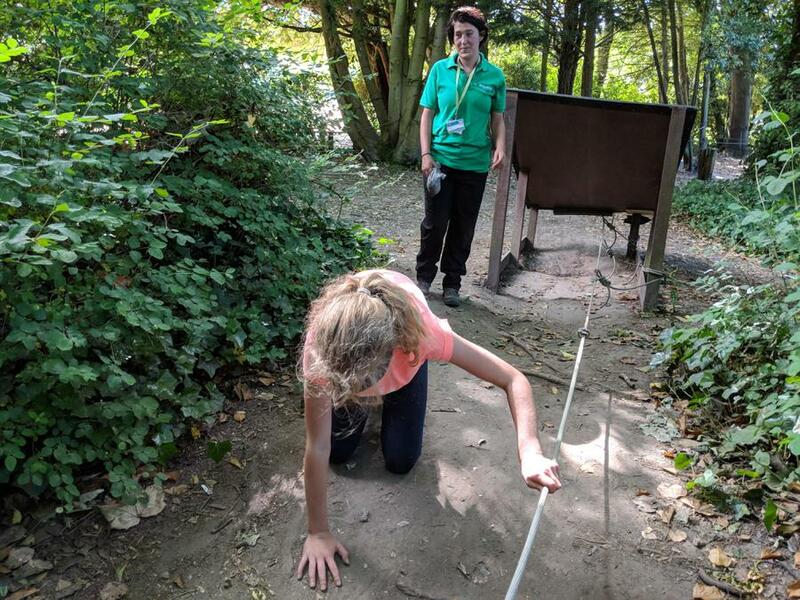 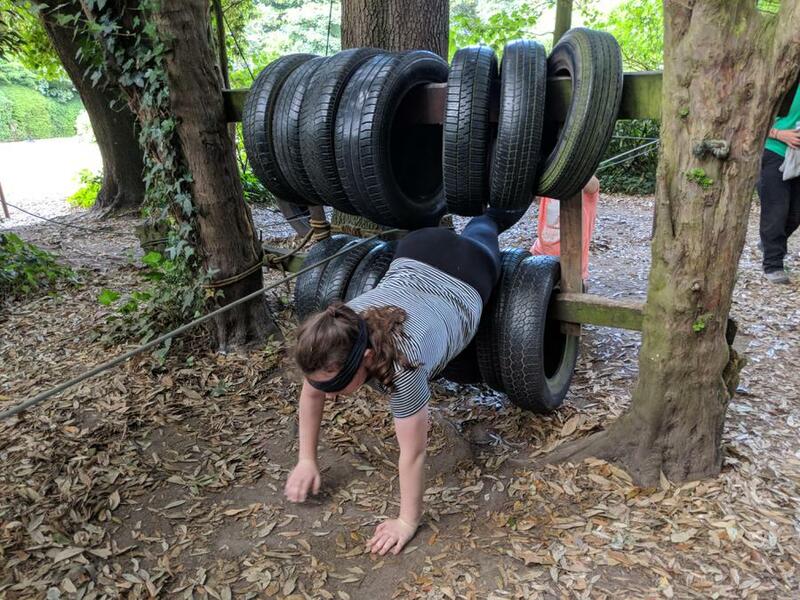 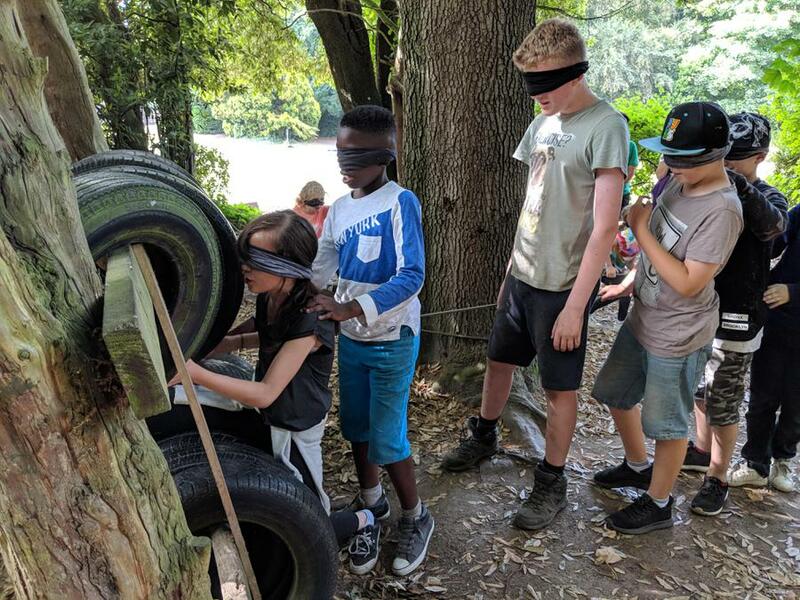 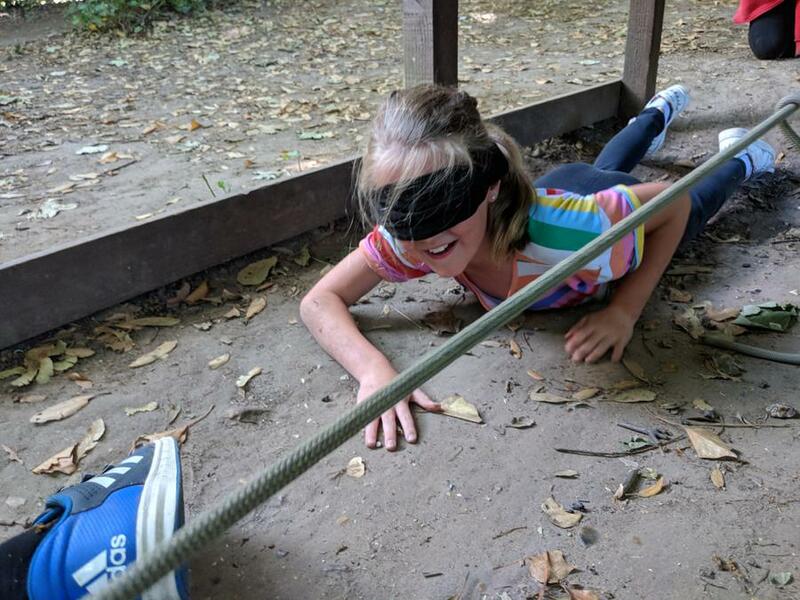 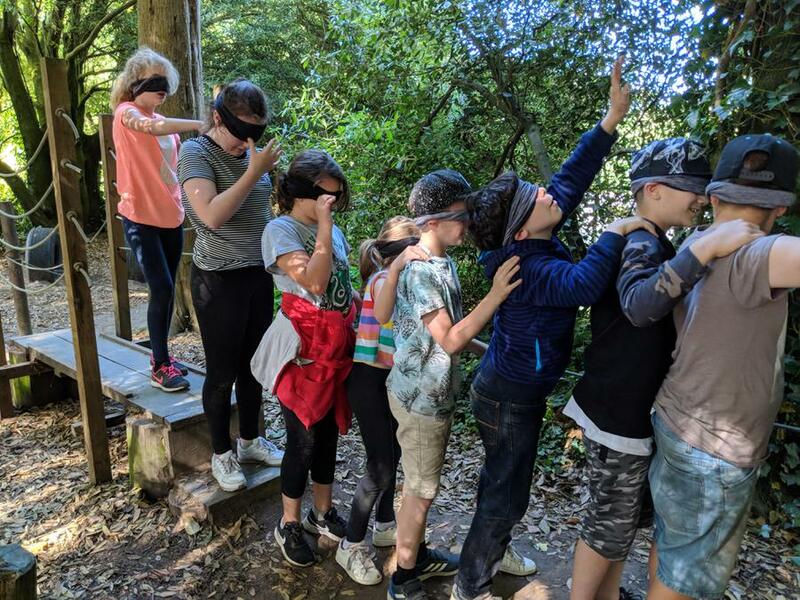 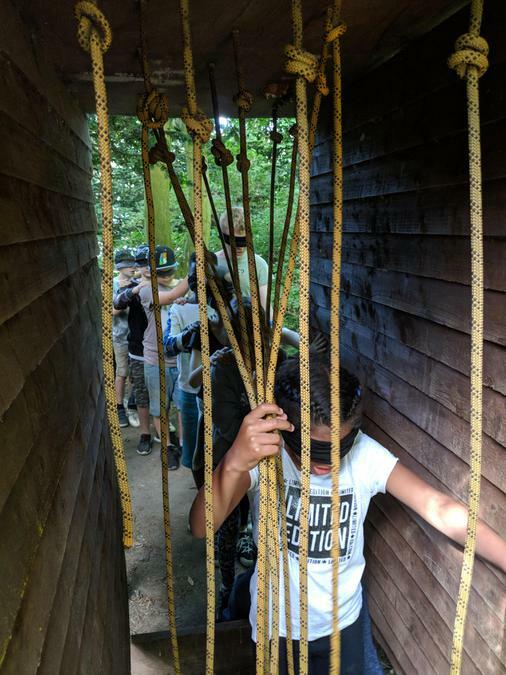 Every child in the group was blindfolded and, after placing a hand on the shoulder of the child in front of them, had to use their spare hand to hold onto a rope and follow it along a trail across many obstacles in the woods, with some highly amusing results! 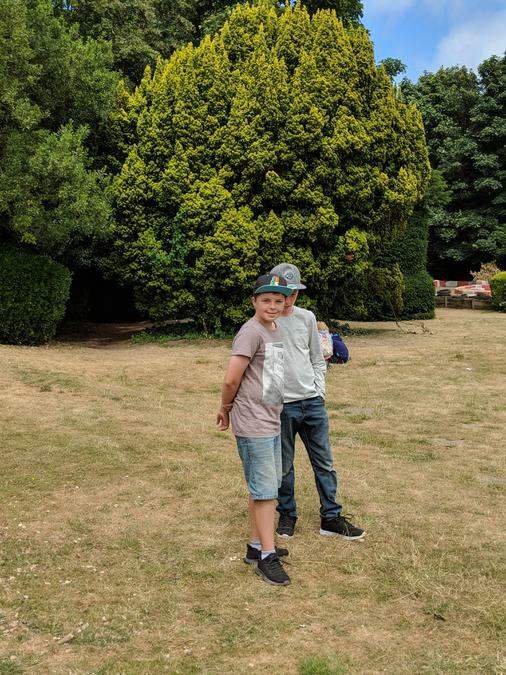 They had a great time and I can't remember the last time I saw many of them laugh so much!! 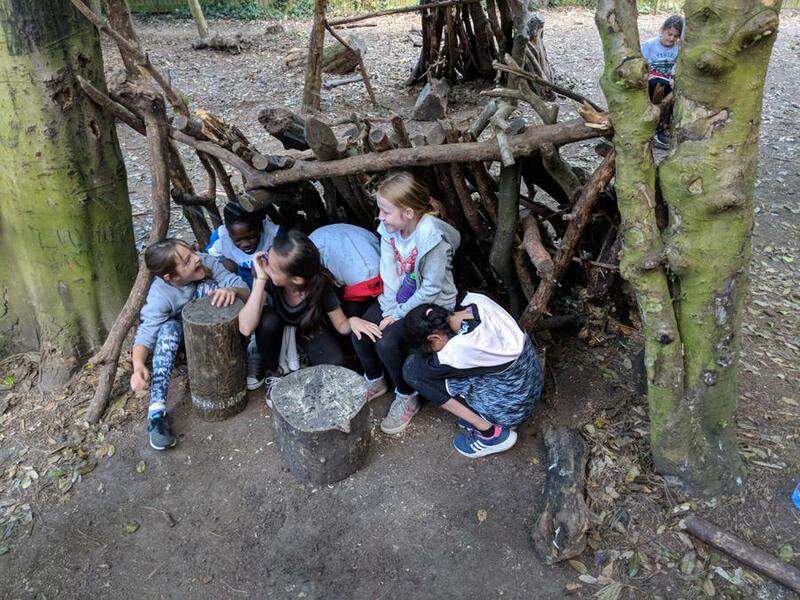 Both groups then met up for some shelter building in the woods with the task of creating a waterproof shelter that they could all fit into. 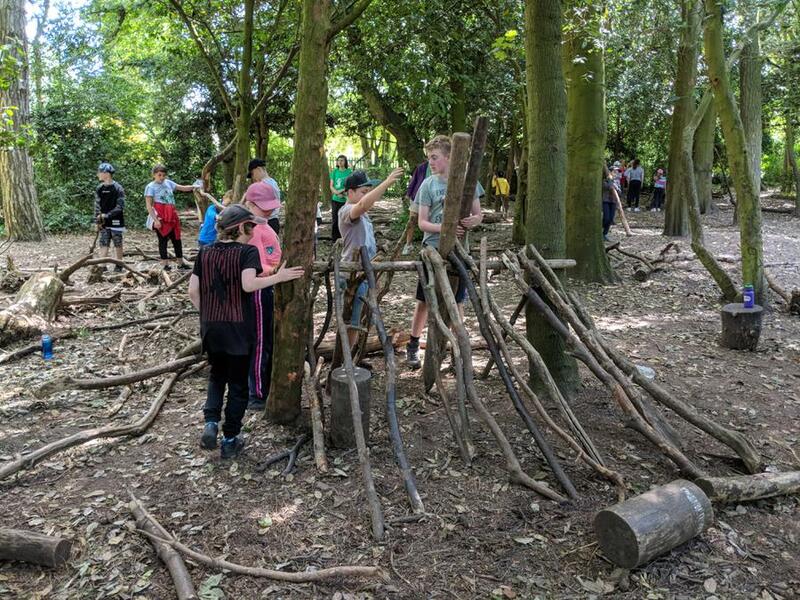 The sheer fact that there were large gaps in some of the finished creations should have led the children to the conclusion that they were going to get wet when the shelters were tested, yet some still appeared quite shocked as the water started flowing through directly onto them! 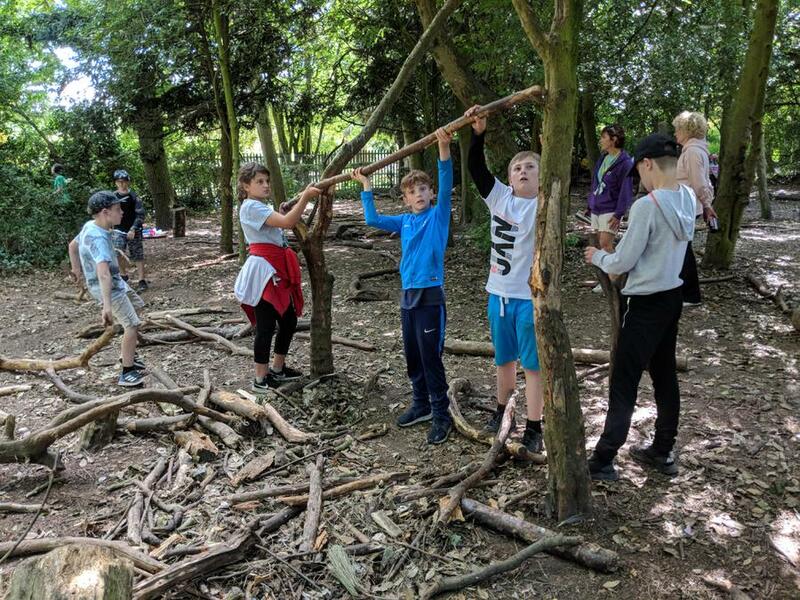 Although I may be biased, I must say that despite most not being able to hold water out there were some impressive designs and constructions on show and most impressive of all was how well all of our children worked together. 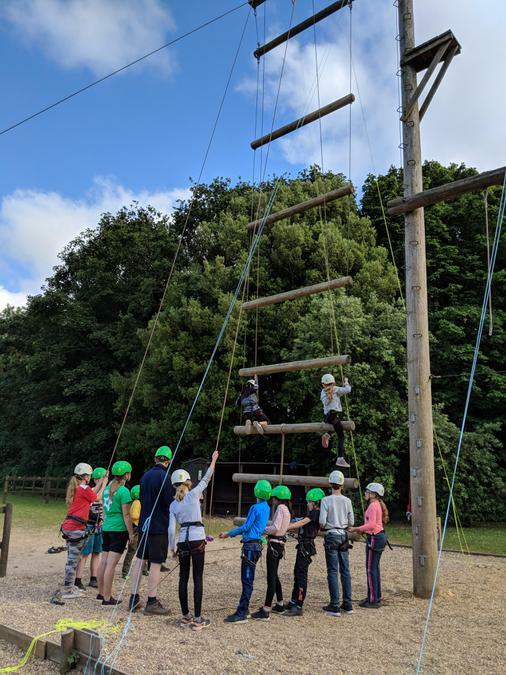 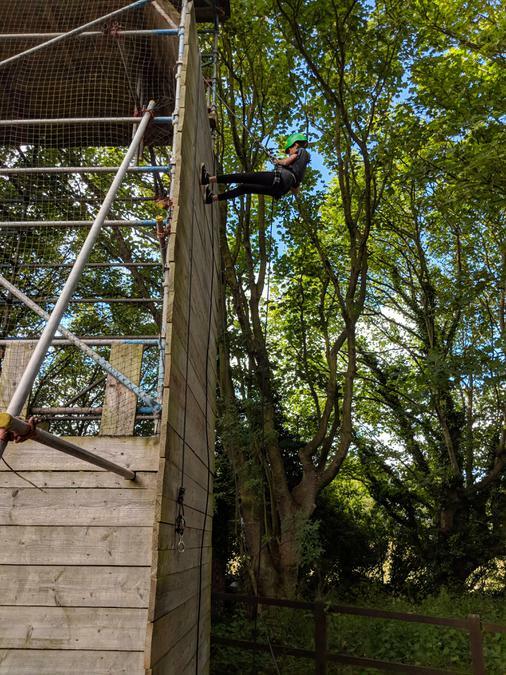 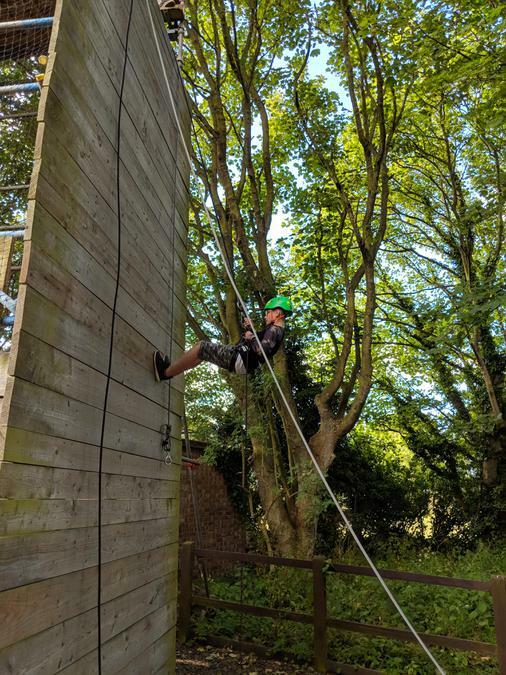 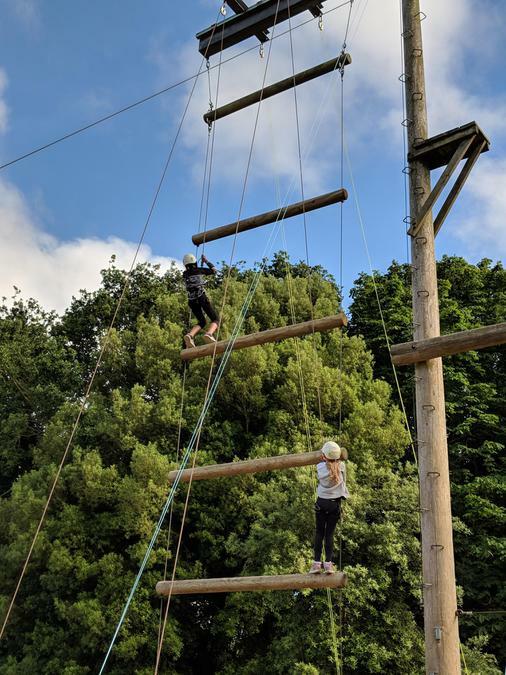 Before dinner there was just enough time for group one to take part in abseiling, while group two took to climbing Jacob's Ladder as high as they could or, more to the point, as high as they were brave enough to! 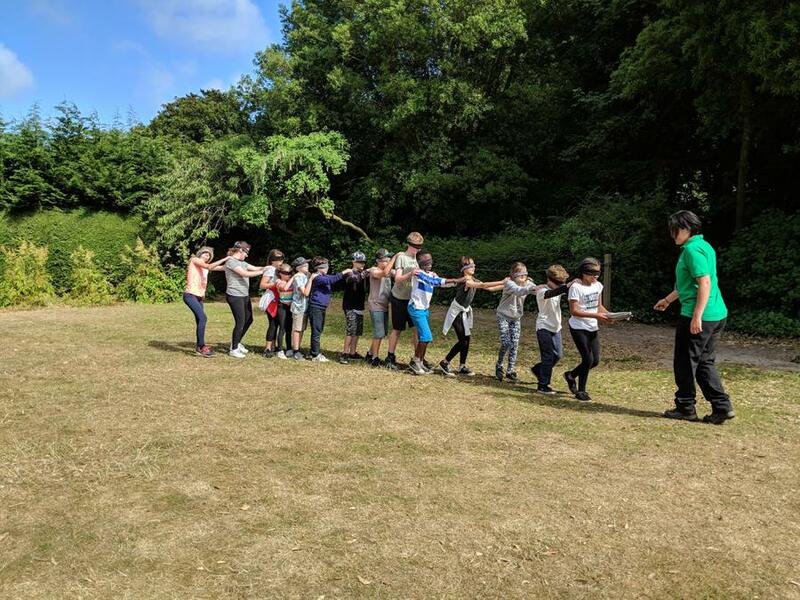 A mini-Olympics followed dinner as the activities continued through to 9pm, although I must confess that I did not see much of that one as I stayed in the main area to watch our national football team in action on a projector screen, joined by all of those children that wanted to watch the big match as well! 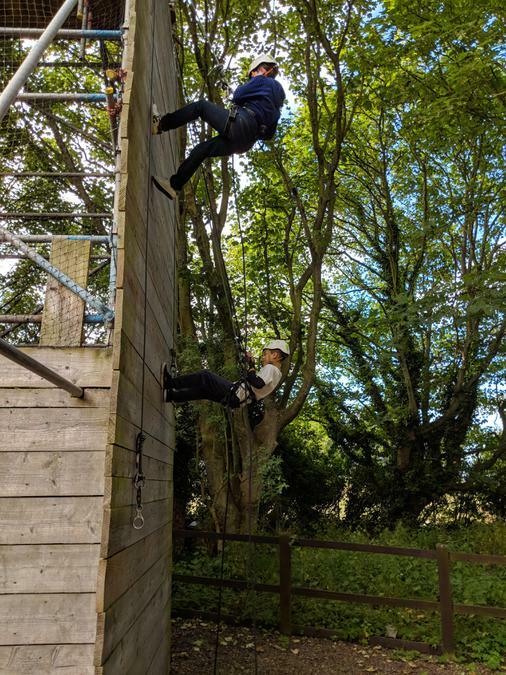 It was a great bonding experience and definitely not just an excuse for me to watch the football! 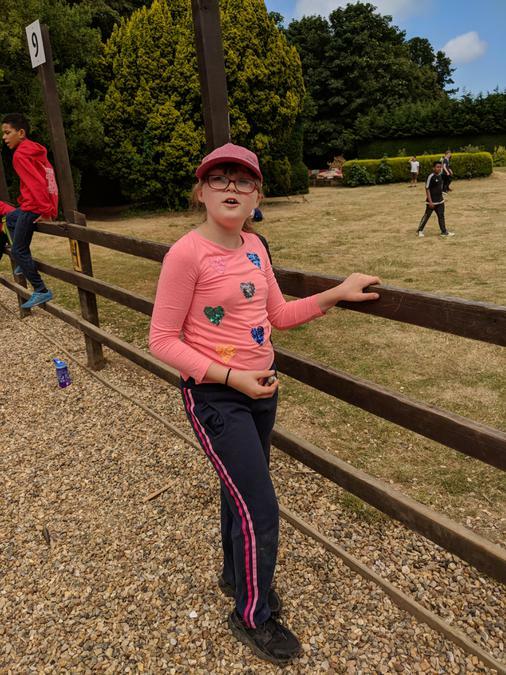 Either way, it was lovely to see our children celebrating all around me as the final penalty was scored, a great way to end a great day! 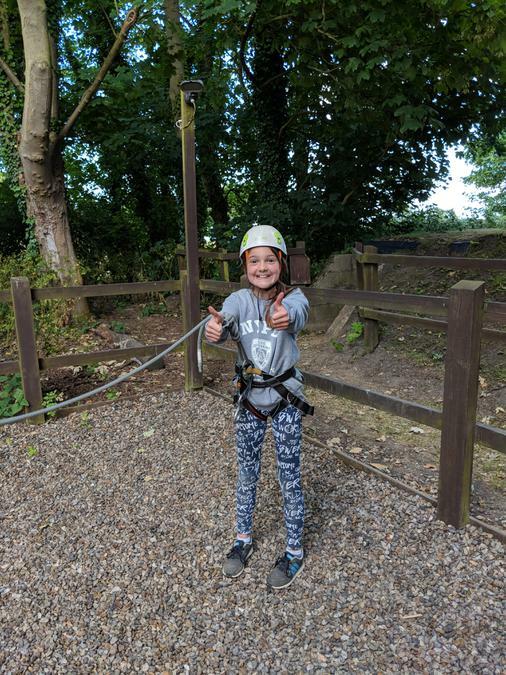 Every single one of our children had a smile on their face yesterday and it really was a joy to see them as relaxed and happy as they were. 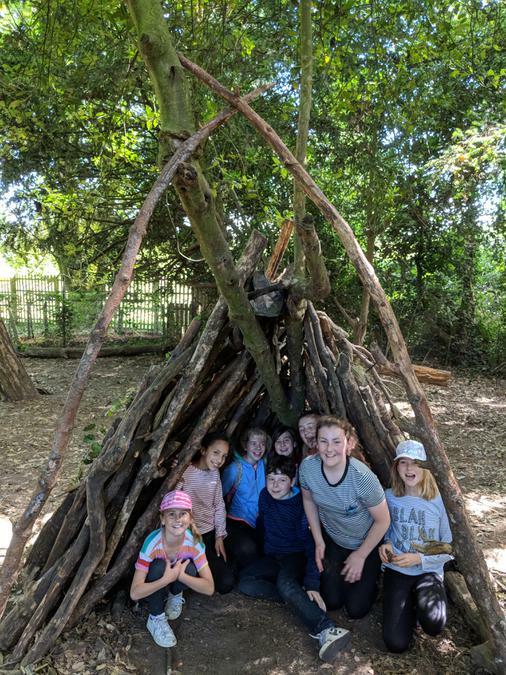 I am really happy to be able to report that they are all having a wonderful time and enjoying the experience to its fullest! 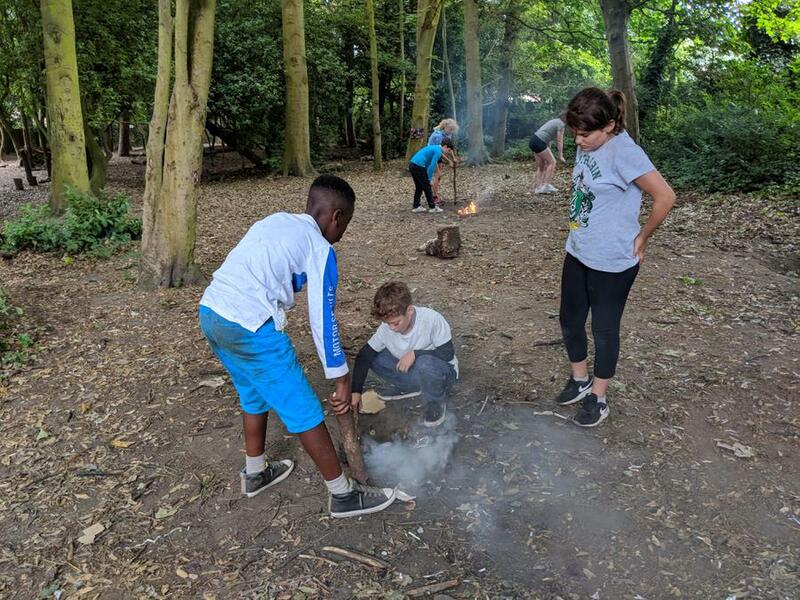 Unfortunately due to very poor internet coverage at Kingswood, Miss Chiddy has not been able to update the class blog as much as she would have liked to. 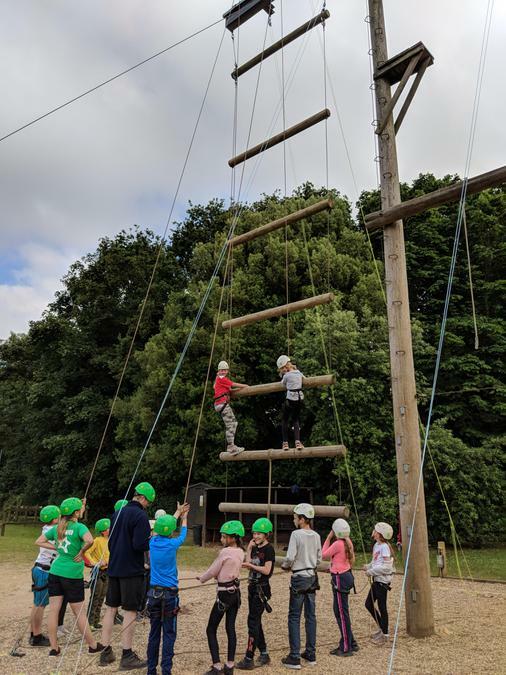 The children are having a wonderful time away and continuing to enjoy the entire experience and there are many, many pictures that I am sure they are looking forward to sharing with you upon their return.